Why is creating such an internal struggle? For beginners and seasoned artists alike, creating can be a difficult (though worthwhile) internal struggle. ​When you sit down to draw, paint, compose, etc., thoughts may come into your mind that try to tear you down emotionally: thoughts saying the depiction isn't good, that you are wasting your time, that you are a phony, that you can never finish projects, that you will ruin it, that you have nothing to say, etc. Sometimes it's enough to just notice these thoughts to let them melt away, and other times they can be very persistent and even feel cruel. They can make you feel stuck, blank, and anxious about creating. This is when people often give up on art. We know the benefits of creating... so, how do we stay with the process when it can be so frustrating? Many authors have written about the importance of transforming your inner critic into an ally, rather than a foe. In Feeding Your Demons, Lama Tsultrim Allione (2008) writes, "By befriending that which scares us most, we find our own wisdom" (p. 22). This quote is such a great reminder of the value of all the parts of the self. Through the willingness to look we can find purpose. In Art is a Way of Knowing, Pat B. Allen (1995) suggests that getting to know your inner critic is an extremely important part of the creative process. Allen writes, "the critic holds our deepest fears; resistance shows us we are on the right track. If we shift our perception, our critic can be seen as trying to spare us the pain of change, the shame of fear" (Allen, 1995, 48). It is in changing our relationship to this voice that self-awareness blossoms and creative doors begin to open. Earley & Weiss (2013) further write of the inner critic as an important part of the self that can be interacted with and learned from. They discuss the many different forms this voice can take and the variety roles the inner critic can play throughout your life. What role has your inner critic played in your life? Engaging with your own internal creative process is the first step toward authentic expression. You may want to seek out a therapist or art therapist to help you untangle how this plays out for you personally. The internal struggle with negative self-talk often surfaces during art therapy sessions. I've worked with kids younger than seven who have told me they "can't draw," or who doubt their ability to express "correctly." These internal judgments start young and persist throughout our lives until we take a good look at them. Creating intentionally can help, as can working with a therapist. ​If you are feeling stuck or blocked in your creative process, check out the last blog post with some ideas to get you started. While you try some of these out, be interested in your internal dialogue. See if you can notice when your inner critic speaks out -- what might you have to say in return? Allione, T. (2008). Feeding your demons: ancient wisdom for resolving inner conflict. New York: Little, Brown & Co.
Allen, Pat B. (1995). Art is a way of knowing. Boston: Shambhala Publications. Earley, J., & Weiss, B. (2013). Self-therapy for your inner critic: transforming self-criticism into self-confidence. Larkspur, CA: Pattern System Books. 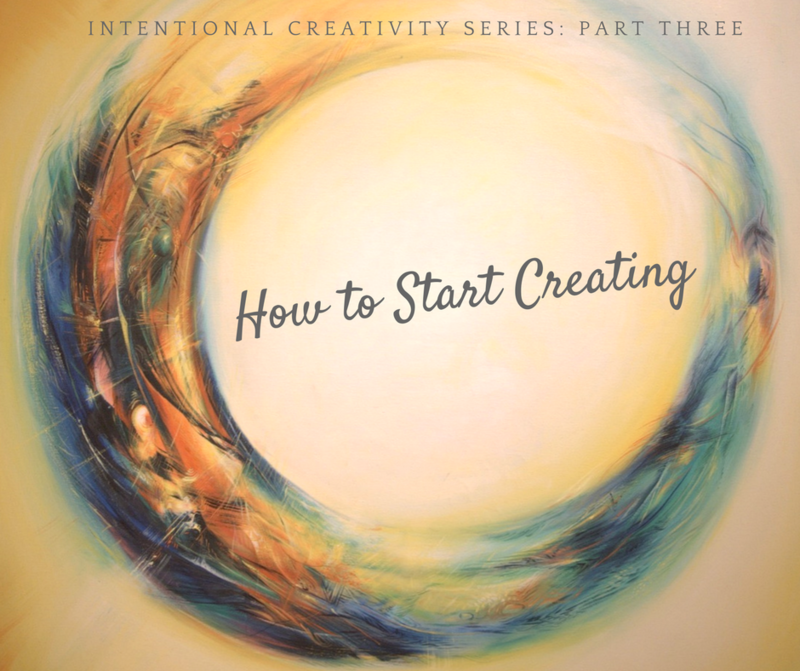 How do I get started creating intentionally? To review: Part One of our series addressed why adults fear making art. Part Two looked at why creating is important and emotionally healthy. This post will address how to approach creating intentionally, with a few tips to help you get started. I want to first reflect on the topic of intentional creativity: the process of expressing artistically with primary focus on your own creativity, rather than focus on others' or self judgements of your final product. This is art-making to feed your soul, to nourish your deeper self, to express and explore your personal experience. It is meaningful art-making. With a blank canvas, how do you even begin? 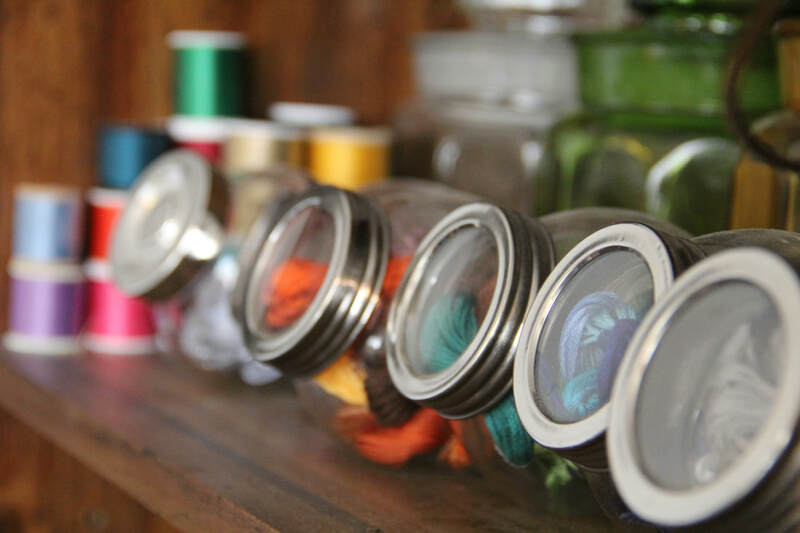 Whether you are new to art-making, or are just feeling creatively blocked, sometimes the overwhelming possibilities of creating can feel paralyzing. This next part will give you some ideas about how to get started creating with intention if you are feeling stuck or overwhelmed. While you try some of these ideas out, be interested in your internal dialogue. How can you tap into your creativity? What inspires you? Here are some general suggestions to help you get out of your head and into your process when creating. Before you begin, check in with your intentions. Why are you making art in the first place? What is it that is driving you? This list is just a start, as inspiration is a huge topic! Some of these you will look at and say, duh, and others are more out there. See if there are one or two ideas that resonate for you and leave what doesn't feel right. Try to notice your inner process as you begin to create. 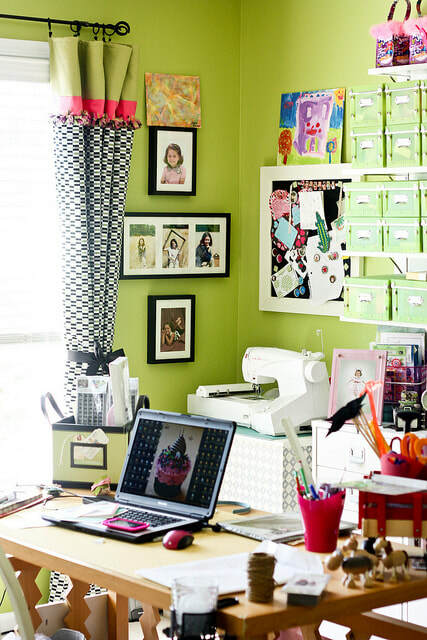 Sometimes it's helpful to have a creating buddy! This is ideally someone who is on the same page with you in starting their creative process, who​ is supportive rather than competitive. Having a creative pal not only can help keep you motivated, but also can be a beautiful way to build relationship and community. Social media can be a helpful resource: make a creative meetup group, or facebook event... we can all help each other in this process. ​This is a technique developed by art therapy pioneers Margaret Naumberg (1987) and Florence Cane (1951), who used scribbling as a catalyst to overcome creative blocks and bring forth unconscious material. The basic idea is simple. Scribble on a piece of paper (eyes closed for a different experience), and then look for an image in the scribble to elaborate on. This is a great technique to get you out of your head and onto a page because you must forgo control of the product of the artwork to do the initial scribble. Cathy Malchiodi (1998) notes that scribbling is a great way to make spontaneous imagery. 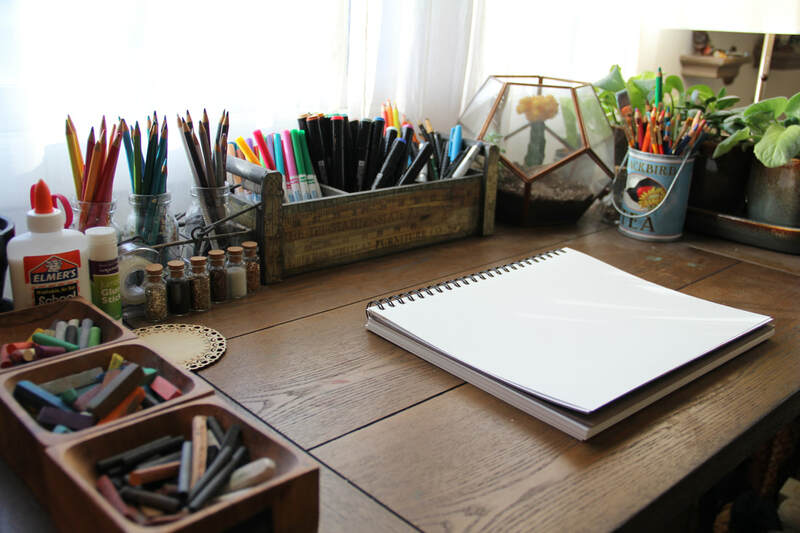 Her book, The Art Therapy Sourcebook, highlights many more ideas for spontaneous art-making, and numerous other art therapy-related activities to try at home -- highly recommended. Paint with your fingers and toes. Use sidewalk chalk and water outside. 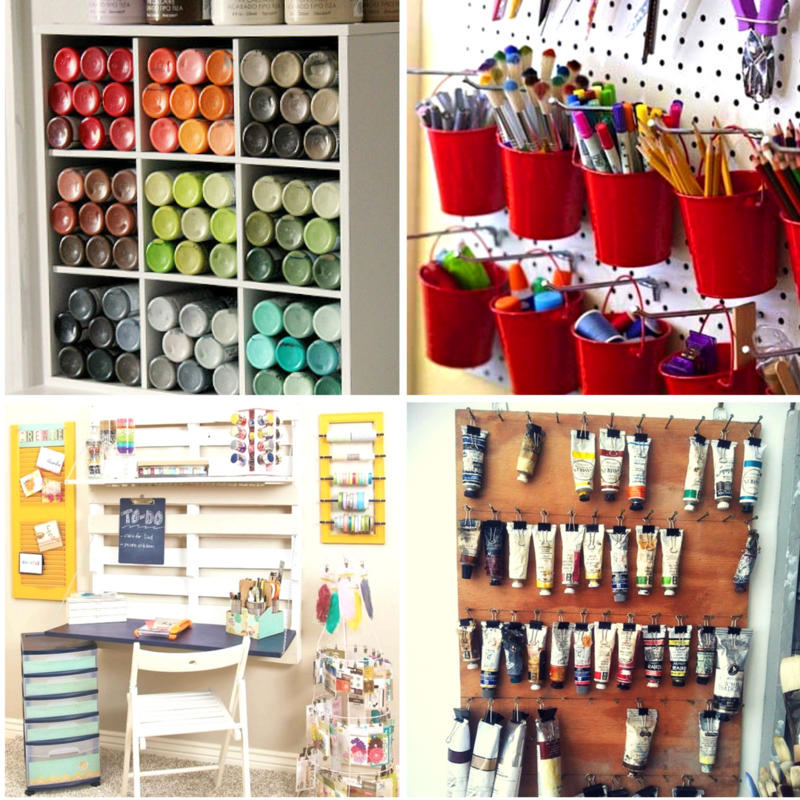 Let yourself drip or splatter art materials. Throw paint at a canvas. Often our inner critic is concerned with controlling the art -- in some situations, the chaotic and uncontrollable nature of getting messy with the art can help to overcome creative blocks. Let yourself play. Again, this may be emotionally triggering for some, so use with caution or with an art therapist! This is an amazing way to get in closer touch with your internal world. Your dreams are full of images and symbols that can be useful to explore if you can remember them! In No More Secondhand Art, Peter London (1989) writes, "Every single one of us is a craftsman of dreams; our dream images are always perfect and evocative. Visual thinking and visual imagery is our native language." Dream journals are a beautiful way to tap into your own symbolic landscape. Recording dreams can also help you remember your dreams more often. I like to chose one image from a dream that sticks out to me and sketch it out, then free write around the image. Often this helps personal realization to emerge, and may even inspire a creative piece. Much of my personal artwork is in response to such dream imagery. This is the intentional encountering of your own internal imagery through guided or self-guided meditation. Carl Jung (1969) developed the concept of active imagination as a means to engage with his internal symbolic world, and it is a technique that is extremely effective at accessing your personal symbols. Remember when you were a kid, and playing pretend was an everyday pastime? Well, your imagination still exists in a real way as an adult, though it may be a bit rusty when it comes to symbolic imagery. Let's say you had a dream about a boat last night, your might close your eyes and imagine this boat -- looking around and seeing who or what is on the boat? What does the sky look like? What is in the distance on the horizon? is there anything in the water? Letting your imagination move you through your images and giving yourself permission to be open to anything that emerges. This can be a great catalyst of imagery for your artwork, and can also result in more personal awareness and understanding. Here's a link to a great article on active imagination with some exercises to try. Creating is an extension of yourself, and sometimes you may need to get to know yourself a bit better to feel comfortable in the process. See what is helpful for you in your creative ventures. ​Please feel welcome to leave a comment if you have any thoughts or ideas. What inspires you? Our next blog post will explore what happens when we start to feel stuck in our artwork, and how to address the inner critic. Malchiodi, C. (1998). The art therapy sourcebook. Illinois: Lowell House. Naumberg, M. (1987). Dynamically oriented art therapy. New York: Magnolia Street Publication. 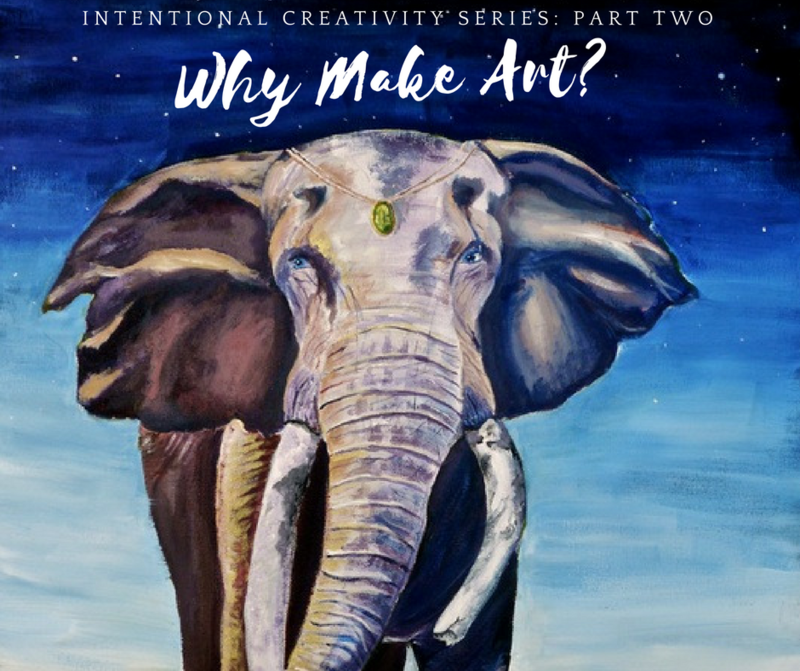 Intentional Creativity Series #2: Why Make Art? Making things is hard. I'm busy. Why make art? In Part One we established that as a human, you are creative and have the capacity to make meaningful expressions. Great! So you CAN make art -- let's talk about why you might CHOOSE to. Okay, you have work to do, kids to take care of, bills to pay, events to plan.... You're busy, I get it. Why would you make time to "create?" I don't think many people believe art-making is bad. Still, I do see many people minimize the value of creating in their lives. The creative process easily connects you with the unconscious aspects of the self. It's a lot more difficult to access these shadowy parts using logical reasoning, as they function on a nonverbal-symbolic level. The point is, the creative process is essential to developing self-awareness. I'm going to make a hard case for creating. I'm hoping after reading this you'll have a better idea of how art-making might specifically help you on a mind-body-spirit level. You might have heard that art-making is good for your BRAIN -- helping improve connections between brain regions and increasing resilience to stress -- but it is also incredibly beneficial for expanding your MIND. When I say mind, I mean the process through which you are aware of your world -- your thoughts, feelings, perceptions. Art-making helps develop engagement with and exploration of your own consciousness. "Um, I'm already conscious..." you might say, why would I need to develop this at all? Yes, yes. And... your mind is way more vast than you may give it credit for. Intentional art-making can help bring thoughts and feelings into consciousness that were formerly unconscious, AND incredibly, it allows you to interact and with these intangible experiences in a concrete and tactile way! Many art therapists before me have written about this phenomenon; it is the basis for how art therapy works! Edith Kramer, notably, wrote extensively about the healing process of transforming and containing internal experience through creating and artistic sublimation (Kramer, 2000). A personal example: I recently created a painting of an elephant on a cracked and dry desert with a broken tusk and an emerald headdress. When I started making the painting, I had been rushing around trying to complete a thousand tasks, and not really aware of my feelings around what was happening in my life. I sat down to paint with only an urge to paint an elephant. I didn't have any clue where it was going to go beyond that. Some weeks later after finishing the painting, I had developed a very strong emotional connection to it that I didn't quite understand. I for sure could not communicate the experience. My training as an art therapist made me want to dig a little deeper. Over time and engagement with the image, I came to understand the painting as not only a self-image, but a complex representation of my experiences with clients at the time. My elephant painting reflected to me a dynamic in my busy life that I wasn't even aware was happening. ​This ended up being very useful to me in acknowledging my experience at the time, and helped me be more present and helpful with my clients. How can art-making access these deep places? Art-making prompts you to represent experience symbolically, with color and texture, giving a visual language that can be more articulate than words alone. This can result in expressions that are incredibly meaningful and guiding! Art therapy pioneer Harriet Wadeson writes that one reason art can be so articulate is that it shows simultaneous and complex relationships in space -- portraying many feelings and connections all at once in a way that linear verbal language cannot (Wadeson, 2010). Art-making engages your sense of touch in a way that can reignite old forgotten memories or experience. For example, squishing clay can evoke memories of childhood, and could bring up unresolved feelings from that time period. Art-making can prompt a "flow" state in which you are so in the zone that time seems to fly by (Csikszentmihalyi, 1990). Decisions can seem effortless and from an intuitive place. In my opinion, flow state is so powerful because it accesses personal intuition and empowerment -- interacting with a sense of self that is 100% authentic. Art materials are powerful -- I've said this before, but it's so important. Art materials range in their fluidity and how difficult they are to control. More fluid materials, for example like paint or wet clay, are thought to be more "affective" -- meaning they can prompt the release of intensely held or protected emotions (Lusebrink, 1990). For someone who has a hard time expressing sadness, for example, the fluidity of painting with watercolors might catalyze engagement with this constricted emotion. Disclaimer -- this can get intense! Sometimes you may not be ready to experience something that was unconscious, or may need help processing what newly conscious feelings may mean. 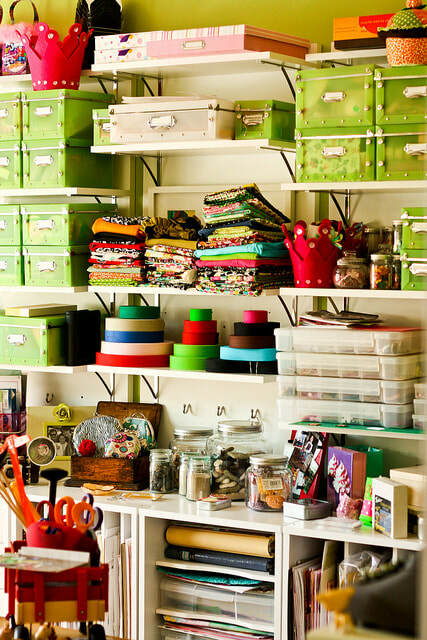 This is where an art therapist can be incredibly helpful. 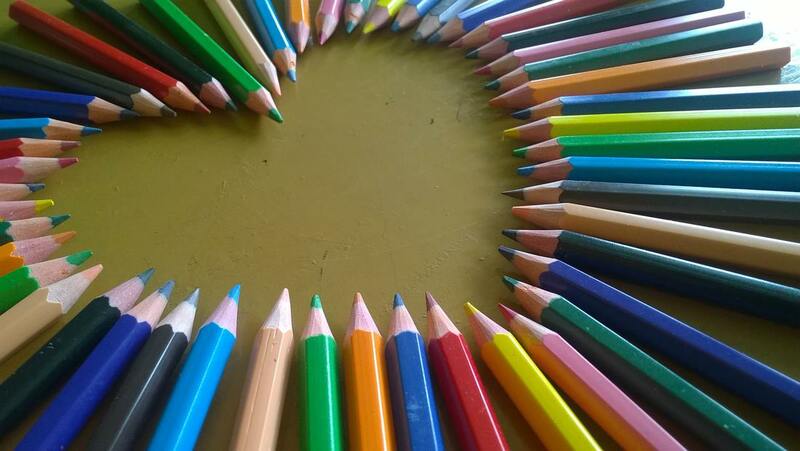 Read more about what art therapy is, and how to find a therapist. ​If you choose to access it, the imagination is a wide open valley full of images, characters, and archetypes that symbolize your lived experience. Parsing out deep unconscious symbols through art-making can be intensely meaningful and personally illuminating. One beautiful example of this is Carl Jung's Red Book. The Red Book is Jung's a visual journal in which he documents his thoughts and visual responses to his engagement with his imagination. Jung was able to define figures through this process that represented different parts of his self, and actually engaged with these symbols in meaningful ways. Maybe that is a little far out there for some. Simply put, art-making is personal symbol-making, and creating personal symbols can help create meaning in life. Dr. Bruce Moon (2007) believes that, "all artworks are metaphoric depictions of the people who create them." From this perspective our artworks reflect who we are and what we are going through in meaningful ways. If we choose to interact with these symbolic mirrors, we can gain real insight into our own experience. Imagine I ask three different people to draw a tree. The first person draws a pine tree with needles scattered at its base. The second draws a cherry blossom full of bright blooms settled on a cliffside. The third person draws an autumn tree with leaves just starting to turn yellow. Each of these people have different experiences and emotions leading them to the moment that they drew this tree. Asking these people to draw a tree prompts them to consciously or unconsciously address themes of growth, change, life, death, and environment. For one person their tree might be symbolic of a fresh start after an experience that left them feeling bare. For another person, their tree might represent a tree they used to climb as a child and a significant moment or relationship in their life. For someone else it could mean the start of a new career venture. In any case a single symbol can be deeply evocative and personally significant. Expressing these symbols visually can be both empowering and releasing, helping to clarify the different parts of self and experience. This is an example of the kind of process-oriented work that we use in art therapy. With the right intention, art-making can help define your understanding of your self, your emotions, and your place in this big wide universe. Art-making can help heal emotional wounds. ﻿This is really important for the work I do as an art therapist. It's also something that I think fewer people are aware of. It can feel markedly safer (and often more articulate) to express traumatic or difficult experience through metaphor than through verbal communication. Expressed color and shape have the capacity to evoke the intensity of emotional experience. Art can show how something felt, rather than just tell the facts of what happened. Our culture is primarily focused on finding "happiness." Emotions seen as "negative" or "weak" (like sadness, anger, and fear) are often pushed down and away from consciousness in an effort to appear "okay" or "stable." For some people it can be hard to feel these emotions, and can seem impossible to express them. Creative expression can be a means to begin to access and work with these emotions if given the allowance and intention. Post-traumatic art-making can help awaken shut-down emotions, and help contain overwhelming ones. Art-making can encapsulate a difficult experience into an object or image outside of one's self (Malchiodi, 2015). When you make art, you get to decide what goes where, what color things will be, how things will look. -- in many circumstances it can be healing to have artistic control when the rest of your life or experience feels out of your hands. Therapeutic art-making is inherently a judgement-free process, providing space for empowering authentic expression (Steele & Malchiodi, 2012). The repetitive, rhythmic, and tactile nature of art-making is regulating and calming for a traumatized nervous system (Gaskill & Perry, 2014; Chapman, 2014). For people with traumatic experience, the body can react with intense fear responses in everyday situations. The creative process can help rewire the brain to manage these emotions effectively. This is a huge topic, but perhaps we will revisit this in a future post. Finally, art-making can empower people to live in the wake of traumatic experience. Creativity is for everyone, but please reach out to a therapist or art therapist if you need help processing what comes up. You are a person with all kinds of emotions and experiences. Art-making is good for your existential spirit because it can articulately express what it means to be you in this body in this moment. Art is the process of expressing intangible experience into tactile form, which can be profoundly healing. ​Creating can help give meaning to your life if you let it. ​Chapman, L. (2014). Neurobiologically informed trauma art therapy: Understanding mechanisms of change. New York, NY: W. W. Norton & Company. Gaskill, R., & Perry, B. (2014). The neurological power of play: Using the neurosequential model of therapeutics to guide play in the healing process. In C. Malchiodi & D. Crenshaw (Eds. ), Creative arts and play therapy for attachment problems (pp. 178-194). New York, NY: Guilford Press. 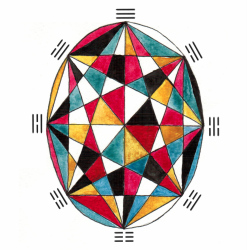 Jung, C. G., The Red Book: Liber Novus. Ed. S. Shamdasani, tr. M. Kyburz, J. Peck and S. Shamdasani. New York: W. W. Norton. Lusebrink, V. (1990). Imagery and visual expression in therapy. New York: Plenum Press. Malchiodi, C. (2015). Neurobiology, creative interventions, and childhood trauma. In C. Malchiodi (Ed. ), Creative interventions with traumatized children (2nd ed., pp. 3-23). New York, NY: Guilford Press. Moon, B. (2007). The role of metaphor in art therapy: Theory, method, and experience. Springfield, IL: Charles C Thomas Publisher, LTD.
Steele, W., & Malchiodi, C. (2012). Trauma-informed practices with children and adolescents. New York, NY: Routledge. I didn't know it yet, but that was the first day of my journey towards becoming an Art Therapist. My friends and I would get together to create hilarious, embarrassing, and completely cathartic cinematic expressions, working through the intense strangeness that was adolescence. We made videos making fun of our parents, impersonating celebrities, and just being totally zany kids. ​We tried out different personas on screen and different roles in the production process. Looking back, these videos are a beautiful snapshot into the formative years of our individual identities, even if they make us cringe a bit to re-watch as adults. The beginnings of my identity began with a passion for images and a hunger for storytelling. I loved being behind the camera, setting up aesthetically beautiful shots, and using imagery to say something unique. I worked very hard to get into film school and began to create images with others. I wanted to be a documentary cinematographer, traveling the world telling visual stories. Film school helped me develop these artistic skills, but more importantly, I discovered my real passion was in helping others tell their stories. I ended up working on an independent documentary film after graduation that allowed me to work with Holocaust survivors -- people who had experienced some of the worst trauma imaginable. I learned the value of personal storytelling, and the healing potential of creative imagery. This is the foundation of Art Therapy. Filmmaking, my first love, ultimately led me to what I consider my life's calling, Art Therapy. Documentary filmmaking and Art Therapy have in common the idea of collaborative visual communication. I went to graduate school for Art Therapy to learn to use this powerful creative medicine to help others communicate their deep personal images and transform ​their lives. 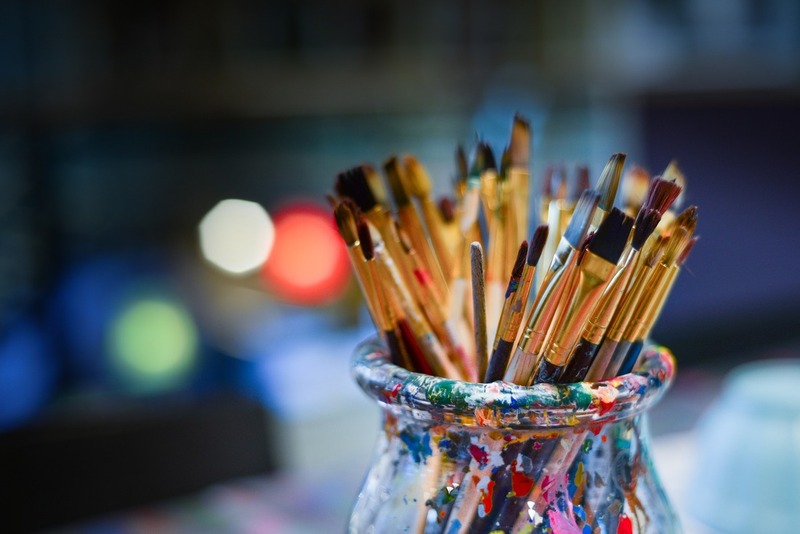 In a nutshell, Art Therapy supports self- and interpersonal awareness, trauma processing, and identity formation through client art-making and personal storytelling in session with an Art Therapist. No art experience necessary. I have worked with elders at end-of-life, grieving families, anxiety across the lifespan, adults with childhood trauma histories, distant couples, teens developing self-esteem, and children with attachment challenges. Just like the strange and expressive films of my childhood, I work with others to express themselves visually and verbally, working through emotional challenges, and strengthening personal identity. Call or Email me to schedule a free consultation to see if we would be a good fit! We are very excited to announce that we have just opened our new home clinic in central Fort Collins, CO! Open Mind Holistics LLC is an integrative healing arts clinic run by Sarah Klein, MA, LPCC and Isaac Hoft, MSOM. We provide mind-body-spirit therapeutic modalities to individuals and couples in the Ft Collins area. 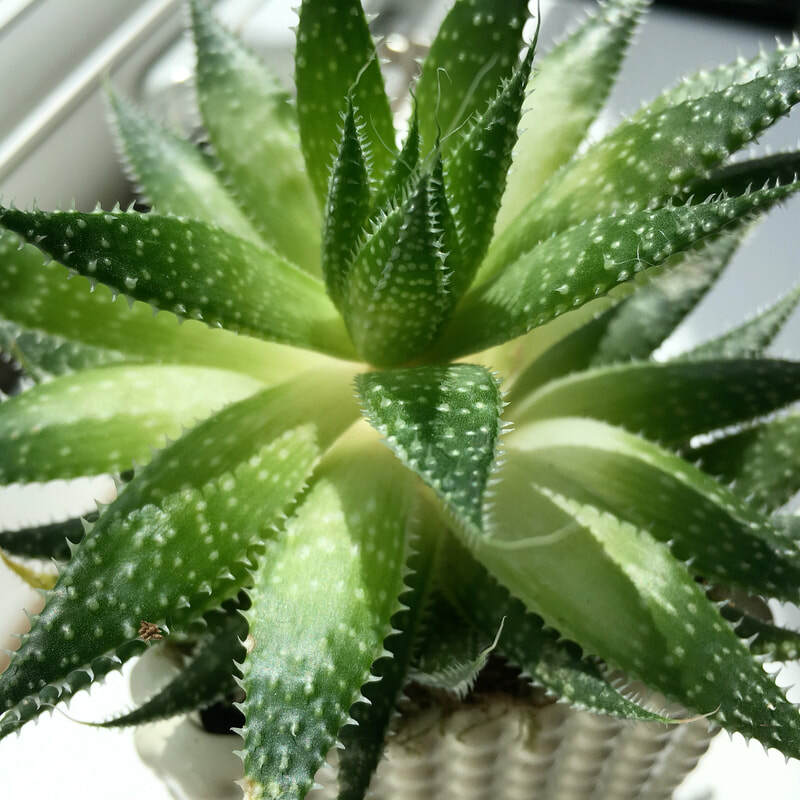 We support health through a holistic and integrative practice of Traditional Chinese Medicine and art-based counseling. We are located 10 minutes from Old Town and 10 minutes from CSU near the intersection of Drake and Timberline. This blog will be a source of information, inspiration, and updates. Be sure to contact us for a free consultation or for more information about our services and events!